A designer’s tool for creating beautiful colour palettes from photos. Palette Cam is a tool for designers, artists, and any lovers of colour, to help with the hurdles of creating unique and interesting colour palettes. Palette Cam allows you to choose your inspiration by taking photos, picking from your camera roll, or browsing the built-in inspiration page. After you've chosen an image, Palette Cam will let you choose from any colours found in your photo to create a beautiful new colour palette. Save your Palette and it will appear on the main Palettes page, where you can tap to see Hex and RGB values for your Palette, and share your new creation. Palette Cam was first designed and developed as the final project for an iOS development bootcamp at Lighthouse Labs. 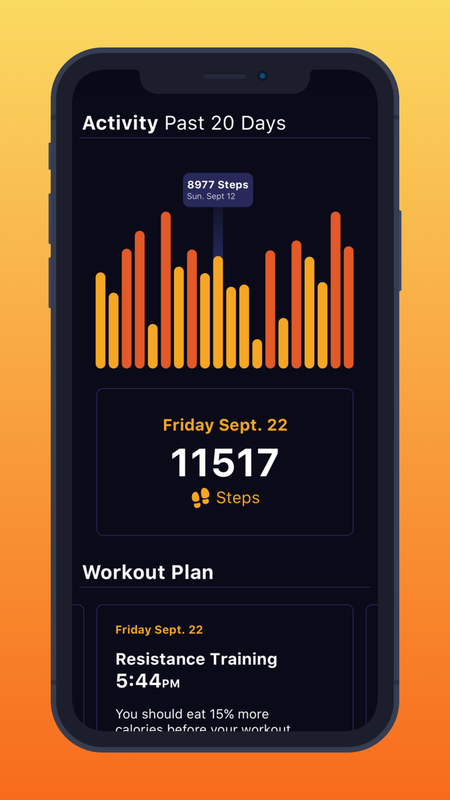 It is currently available on the app store where it has received over 150,000 downloads, and maintains a rating of over 4.5 stars across all territories. The mobile solution designed to engage your frontline employees and drive results. In June of 2016 I joined the Nudge team as a junior iOS developer. Since then I’ve moved into a hybrid title of Mobile Product Engineer, where I work with both the Product team as the UI and UX designer, and the mobile team as an iOS Developer. 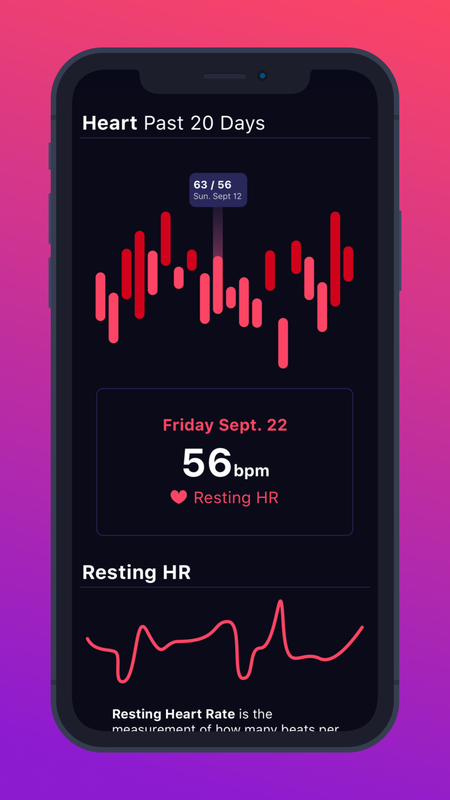 Rthm is a science forward wellness app that takes a number of approaches toward improving a user’s mental and physical health. 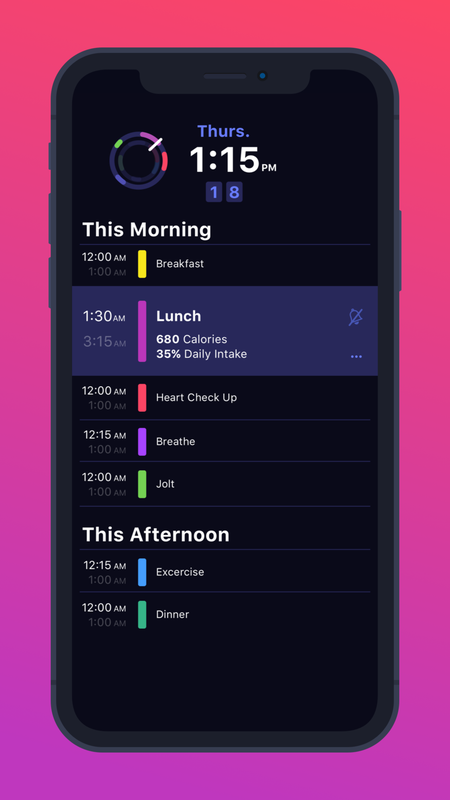 After interning as an iOS Developer and Designer in 2016, I was approached to design a new ‘Body Clock’ feature and a sleeker ‘dark mode’ UI. 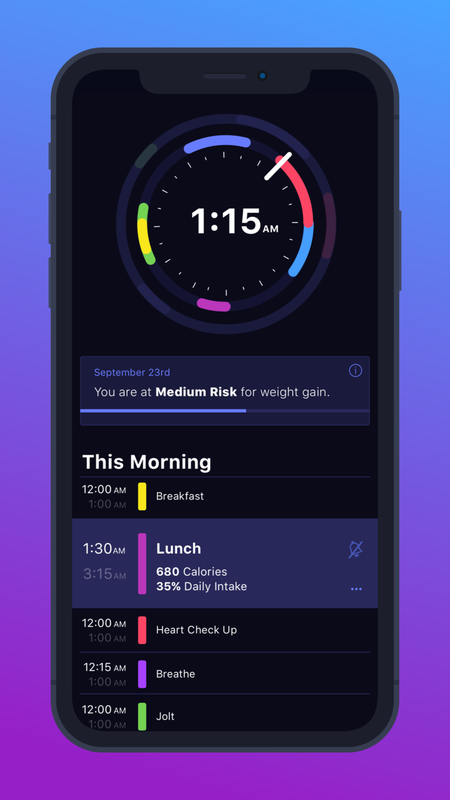 The Body Clock is presented in two components: a day calendar that lays out optimal times for certain activities such as eating, meditation, or drinking coffee; and a custom clock which, at a glance, will let the user know what their current optimal activity is.